Peppering your Facebook feed, you may have seen some online surveys to identify if you are an introvert or extrovert. Research has found approximately 50% of our population is made up of introverts—making it possible that one of your parents is an introvert. If your parent tends to avoid large social situations, moving into an assisted living community might be a concern for your family. How will they fit in? Will they be happy? How can we find balance? First, let’s define what an introvert is. An introvert is someone who may tend to be quieter and is comfortable alone, but this does not necessarily mean they are shy or always want to be alone. They can be sociable but prefer smaller groups. They shouldn’t be defined by their lack of wanting the limelight. We know that an extrovert loves to be the center of attention and this is where they draw energy. Whereas an introvert is drained by larger social situations and they need time alone to recharge. When living in an assisted living community, it is key that your parent has a balance with plenty of downtime to refresh. 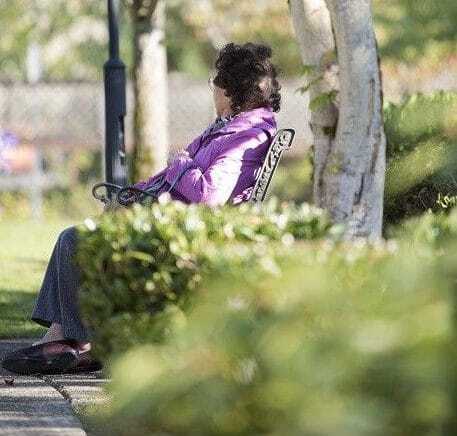 Natural introverts should not be encouraged to be extroverts just because they have moved into an assisted living community. A good community should understand the idiosyncrasies and personality types of their residents and shouldn’t force them to be something they are not. They should accommodate them with ways to make them comfortable. Research has shown there are health benefits for seniors to stay social. Whether your mom or dad is an extrovert or an introvert, we can find fulfilling ways for them to be social and comfortable while living in an assisted living community. 1. Learn something new. Most introverts prize individual achievement, so learning a new skill can be rewarding for them. Aegis Living communities offer a wide variety of arts, crafts, and clubs from drawing and sketching to fly-fishing, beer making, or learning a new language. Our community Life Enrichment programs are set up to involve residents with a variety of interests. 2. Care for an animal. Many introverts take joy in caring for a pet and nurturing their bond with an animal. 3. Watch a movie or listen to a lecture. This is a great activity for an introvert to sit with a group and meet others in their community without the pressure of social overload. Aegis Living communities have private movie theaters. 4. One-on-one interaction. Introverts can make new friends but they prefer to participate in smaller groups or individual conversations. At Aegis Living, friends and family members are always welcome and we encourage you to come by for a visit. 5. Sense of purpose. Many communities offer ways to give back to the local community. Participating in something that is bigger than themselves can give them a sense of purpose. Your parent may be more likely to push themselves out of their comfort zone to participate with a charity. Consider if your parent is an introvert when touring assisted living communities. Perhaps look into communities that are smaller and more intimate, these may be a better personality fit. Aegis Living manages a variety of communities in different neighborhoods and ranges of size. Schedule your tour today!